A lot of Apple owners are facing with the problem of installing or updating iTunes on Windows 10. This problem has a solution, and today we will talk about it. Service “Apple Mobile Device” (Apple Mobile Device) failed to start. Tip. 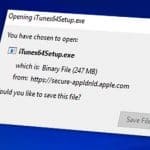 Even if you run the iTunes installer on a behalf of the administrator, disable the firewall and antivirus software, it is possible that a successful installation still does not take place. At first, try to use the latest version of the iTunes distribution. These direct links lead to the official installers located on Apple servers. Tip. Also the versions mentioned above should solve the problem associated with the operation of the regular QuickTime video player and the compatibility of iTunes with some other Windows applications. Open Control Panel and select Programs and Features item. In the list of the installed software find Apple Software Update, right click on it and select Repair from the context menu. After repairing try to install iTunes. 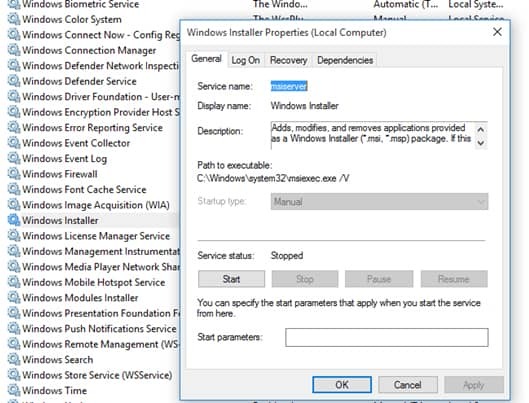 Sometimes problems are associated with the Windows Installer service. As a result, not only iTunes cannot be installed, but also any other applications. Open Services console (services.msc). In the list of services find Windows Installer service. Check its status; try to stop and start the service. 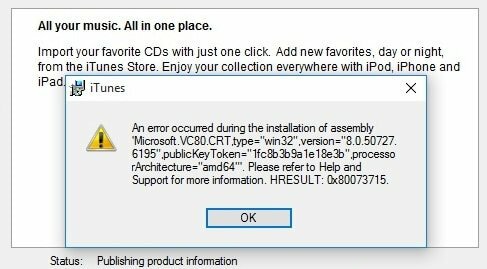 Now you can try to install iTunes, but you need to run the installation again (don’t use the exe file! Use iTunes64.msi, which is located in the archiver window).